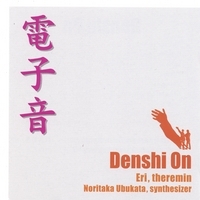 Japanese thereminist ERI has released a new album entitled "Denshi On". The album showcases her graceful and pleasing technique as performed on a Moog Etherwave Pro theremin. The album is available for $25 USD at CDBaby.com, where you can preview each track in its entirety. Our favorite so far is the theme from Mothra vs. Godzilla.